One of the last steps in making a fused quilt is steaming the quilt top to batting. This sets the fabric shapes so the quilt top can be stitched by hand or machine. 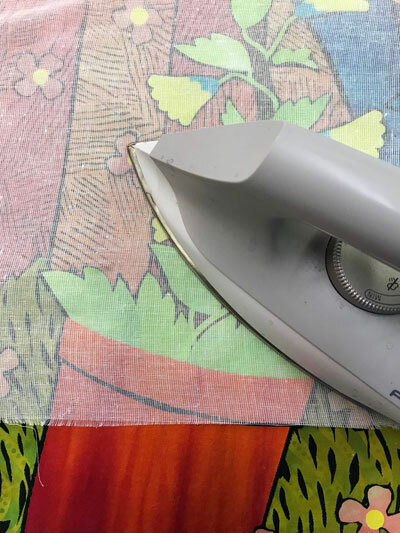 Always protect the fabric with a pressing cloth (available here) when steaming. Cause, as you know, irons are filthy things! This quilt, Arm Chair Gardener, is steam set and all the machine quilting is complete. Ready for an invitational exhibit called Journeys, it will travel Europe. Many of my “journeys” are experienced by reading a good book. So while this quilt tours Europe, I’ll be stuck at home reading a good travel book. 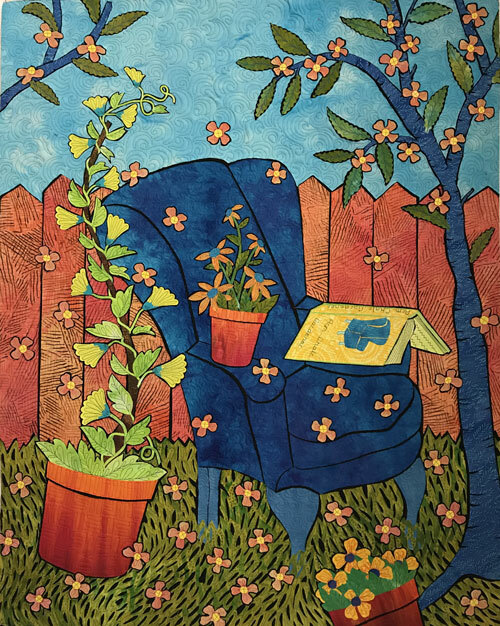 This entry was posted in quilt exhibits by Laura. Bookmark the permalink.